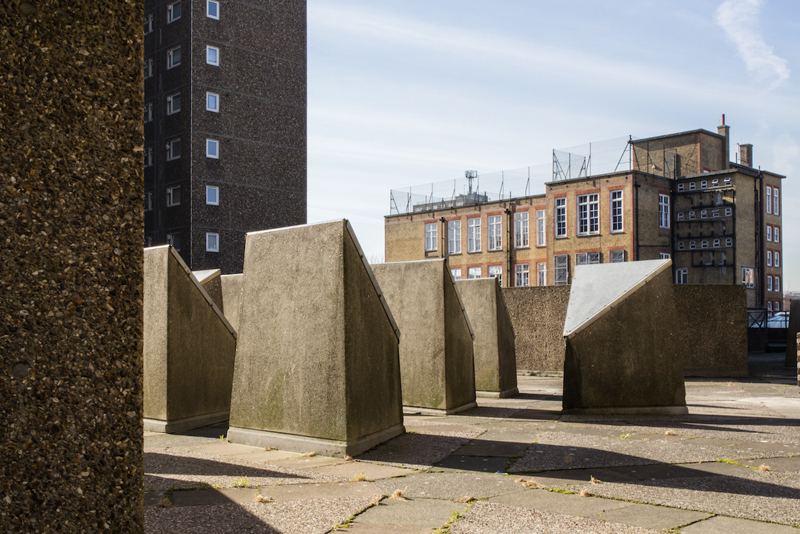 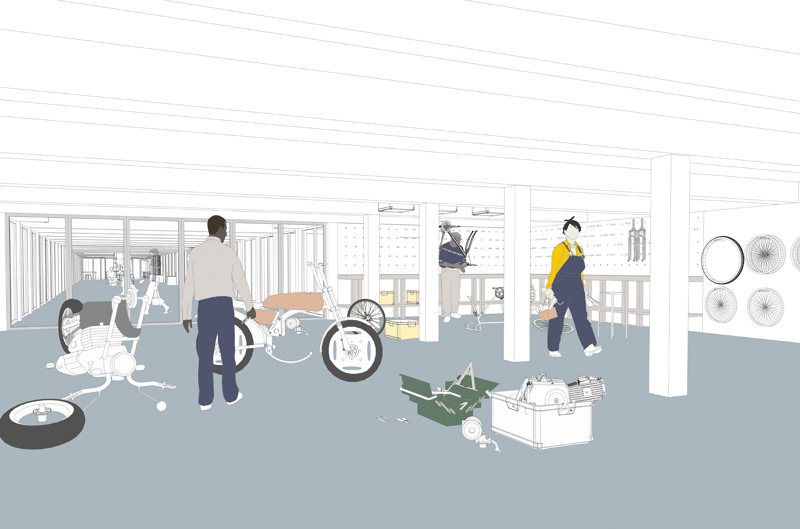 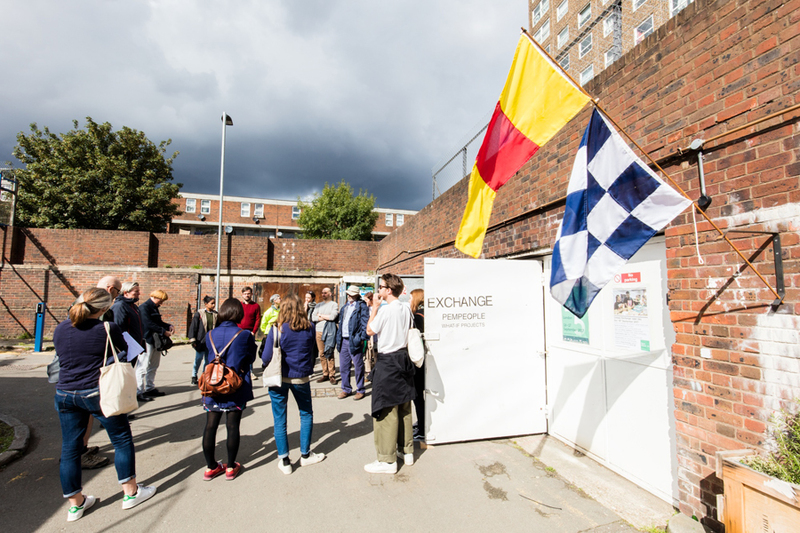 60 vacant garages on the Ledbury Estate on Old Kent Road will be transformed into the Livesey Exchange – an archade of workshops, studios, multifunctional spaces and a training kitchen linked to a sports pitch. 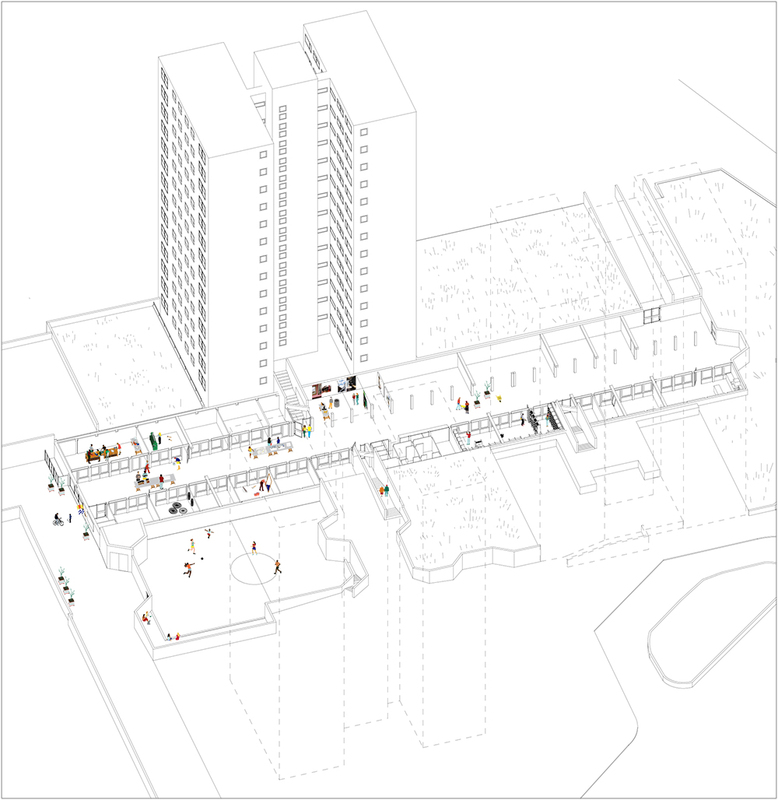 A multi-functional space and café form the main entrance from the Old Kent Road providing desk space for flexible working, meetings, events and socialsing. 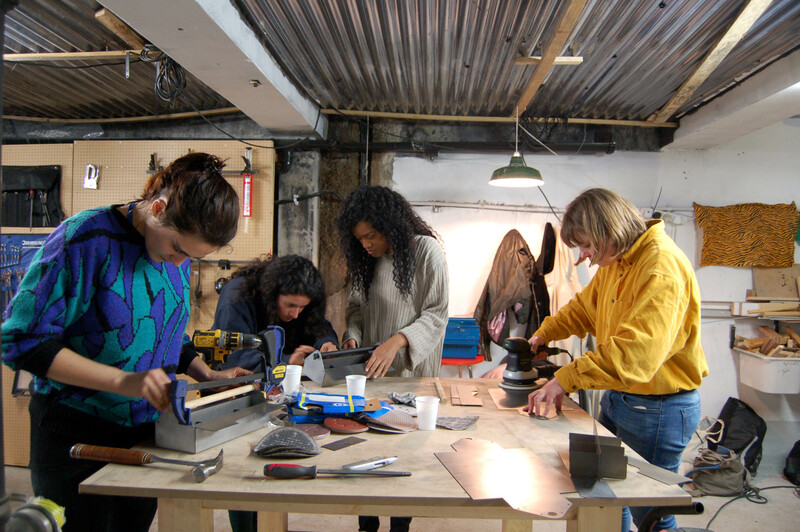 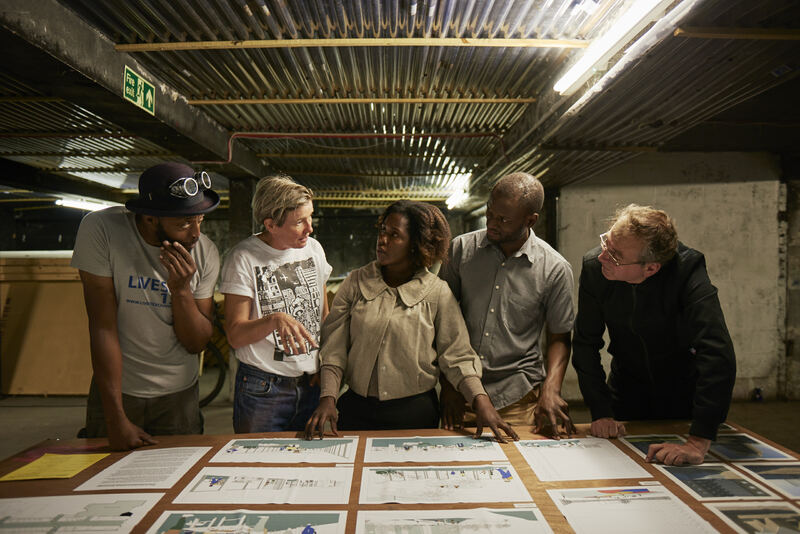 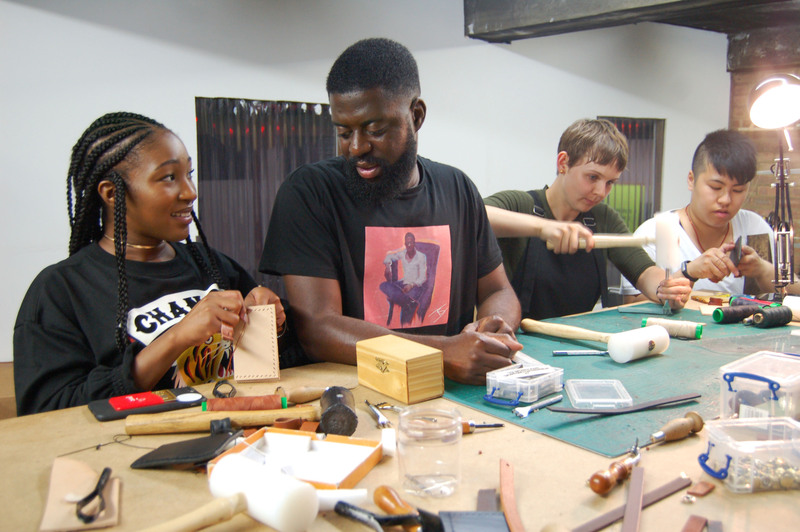 The Livesey Exchange project has been developed by local residents Nicholas Okwulu, of social enterprise Pempeople in collaboration with Ulrike Steven, of architecture practice what if: projects. 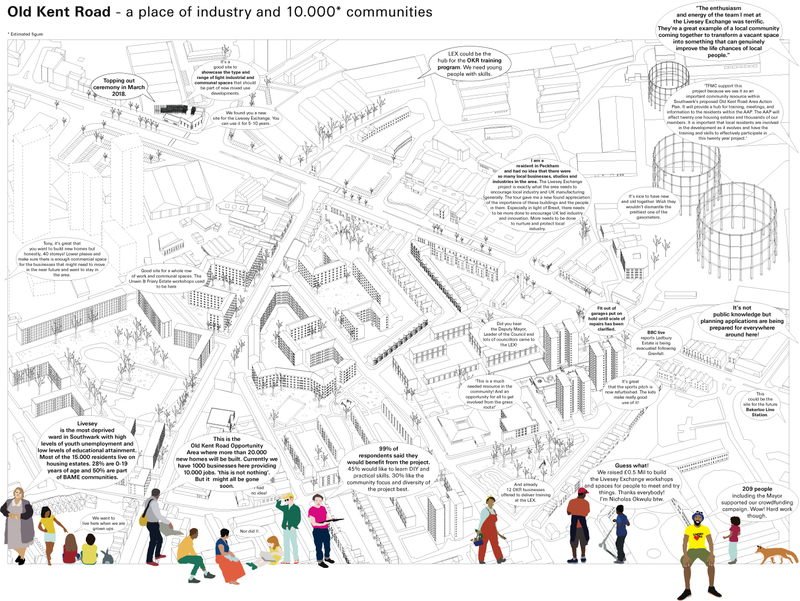 In collaboration with our partner organisations we are currently planning the delivery of the project.